Navigating the complexities of the health care system can be stressful and confusing. Our Central Admissions Department is here to help. We are available 24 hours a day, 7 days a week for admissions for all six of our Skilled Nursing Facilities. 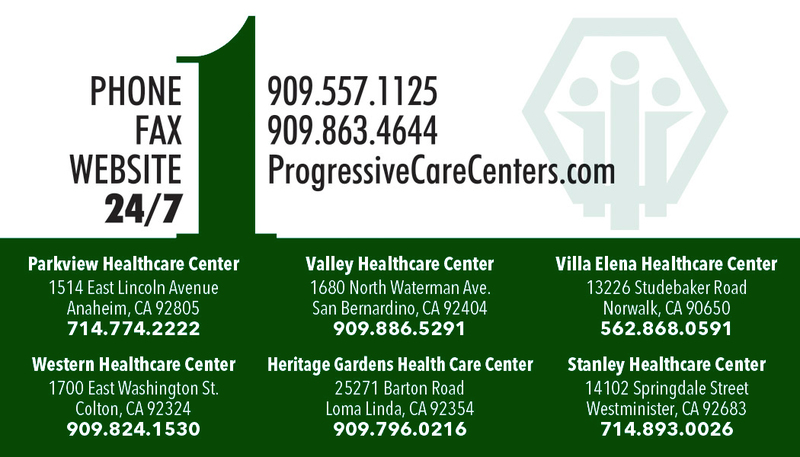 Contact your Primary Care Physician and request that they fax over a packet of paperwork including the patient’s demographic sheet, History and Physical, current medications, reason that 24 hour care is needed, and any other medical information that would help us to determine your loved one’s eligibility for our facility. Contact your Case Manager or discharge planner and give them the name of the facility you choose. They will contact our Admissions team and we will work together to make the transition from Hospital to our facility quick, easy, and stress free. Coming from another facility or an Assisted Living Center? Contact your current facilities Social Services Department and give them the name of the facility you choose. They will contact our Admissions team and we will work together to make the transition to our facility quick, easy, and stress free. All Admissions are on a case by case basis. Every patient we review goes through a detailed Clinical and Financial review to ensure we can meet all of the needs of the patient and their family. Just give us a call, we will handle the rest!